Kabbalah Gold cuff. A 1/2 inch wide cuff dipped in gold with engraved design. The cuff is 6 inches around with about an inch opening. It has some adjustability but not much. The cuff is made of gold plated brass. 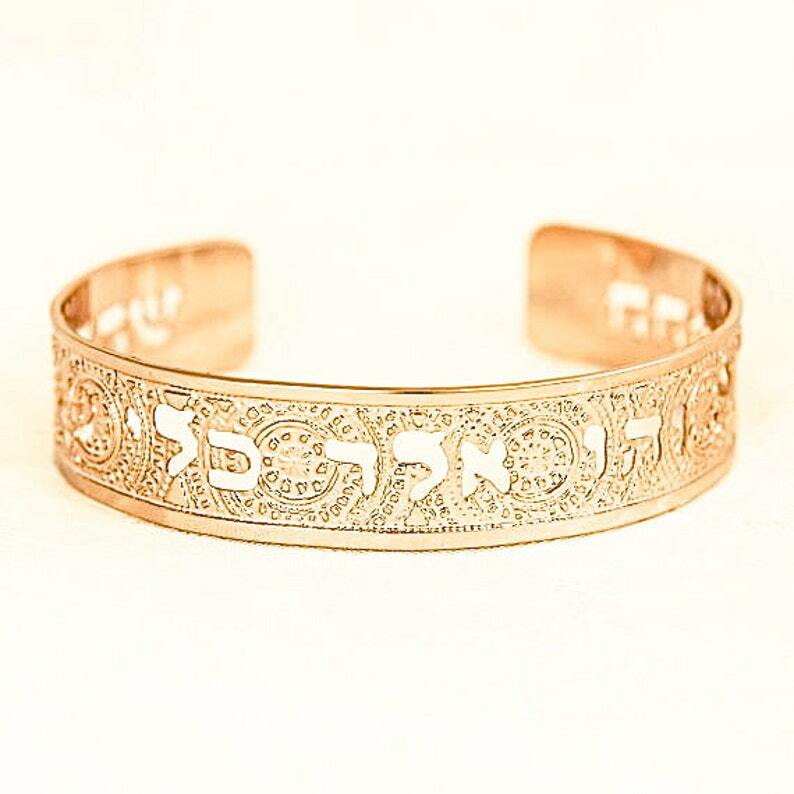 The cuff has a few of the 72 names inscribed in Biblical Hebrew letters. The 72 names of god are channels of energy that contain certain properties.